IT IS DIFFICULT to realize in these days of power politics and of the merry game of plucking the golden spoils of office by fair and foul means that hardly a quarter of a century ago we were an enslaved people. The British were our masters completely and entirely. Their might had the sway over land and on sea all the world over. So powerful was the Royal Navy that it was said. “Britannia rules the waves” and she did. One of the pet questions in Geography used to be to show and prove why the Sun never set on the British Empire. In schools children were made to admire the British ways and sing songs of their glory. We used to pray for a happy, glorious and victorious life of the British Sovereign “Long to reign over us.” And yet the tallest amongst us were behind bars of the British Jails. The British Government was entrenched behind the Army, the Police and the Administrative Services. Surprisingly there was no dearth of people who really recognized the British Raj as a dispensation of the Providence. Others took it with that resignation which is one of our national characteristics. Late in the nineteenth century it required people as great as Swami Vivekananda and the like to awaken our national conscience and restore our spirit. The story of the Indian Freedom Fight is indeed fascinating. It covers more than a century of continuous struggle unparallel in heroism and self-sacrifice as well as in forms of weapons, strategy, tactics and areas. It was at times spiritual, at times terroristic, at times peaceful, at times violent, at times non-violent, at times within the country or in a part of it, yet at times without and at times in many forms, at a time and all over the sub-continent as well as in other continents. The last straw however to break the British back was in the form of the Indian National Army of Netaji Subhas Chandra Bose. Carrying the Tricolor Flag with the emblem of the Leaping Tiger on it and with the slogan, “Chalo Delhi” ( on to Delhi ) on the lips, from the battlefields of Asia and of Europe, it burst out on the Indian scene like an avalanche overwhelming all and everyone causing a revolutionary and emotional upheaval turning and churning the very depths of the national soul, sparing not even the Indian Armed Forces of the British the very means of keeping India enslaved. They recovered their national conscience. The soul of India became free. The people could no longer tolerate the foreign Rule. The climax came with the Naval uprising in Bombay. The days of Military and Police Raj were over. It could hold no more. The story of the I.N.A. is a legend in itself. Its historical evidence shows that never, never in the long history of man and war did a people in exile raise an army so big in order to liberate their country from a foreign rule. In this historic struggle, the part played by the Indians overseas can never be appreciated enough. It was entirely due to these Indians that the Provisional Government of Free India could attain the status of a duly organized, recognized and a belligerent Government enjoying the allegiance of two million people. These Indians were the State with Indian Independence League as the Executive of that State and the I.N.A. as its Army of Liberation. The Provisional Government of Free India was proclaimed on 21st October 1943 having all the requisites of a Government. It had a Cabinet headed by Netaji as the Head of the State, The Prime Minister and the Minister for War and Foreign Affairs. Colonel Doctor Lakshmi ( then captain ) was the Minister in charge of Women’s Organization. She held this portfolio over and above her Command of the legendary Rani Jhansi Regiment of a Brigade’s strength. Dr. Lakshmi one of the most popular and prosperous Gynecologist in Singapore had to give up her fabulous practice to be in uniform and to undergo all the hardships a combatant has to go through in a war. Lt. Col. M.Z. 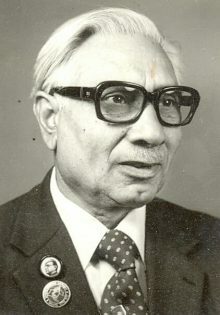 Kiani ( later Maj. General ). 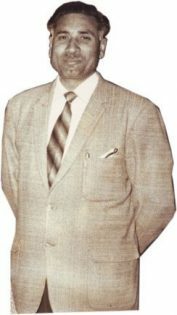 Shri A. N. Sarkar was the Legal Advisor ( all with ministerial rank ). Shri Rash Behari Bose – the very incarnation of service and sacrifice-having vacated the Presidentship of the Indian Independence League and all its offices to make room for the younger Leader Netaji Subhas to come and to take over so as to lead according to his genius stepped aside. Netaji requested him to be the Supreme Advisor. The Senior Leader accepted the post with grace which has been conspicuously absent during the past-Independence era. I have confined myself in naming the personalities who were fortunate in being ministers on Netaji’s Cabinet and took oath on its formation. I cannot help mentioning again the name of General Loganathan. As I write these lines. I recall his tall inspiring personality full of courage, spirit of sacrifice, wit. Humor and the never failing sense of duty. This great man inspite of his ill health accepted to do the most difficult job, the Governership of Andamans and Nicobar Islands which having been annexed to the Provisional Government had been renamed “Shaheed” and “Sawaraj” respectively. Though ill health and non-co-operation by the Japanese Forces of Occupation made his job more and more difficult, yet he stood it out. Again he had to act as the G.O.C. Burma Command after Netaji’s departure from Rangoon. With the INA Contingent about 6,000 strong he manned the Burmese Capital in the absence of any other Police force or troops during the period between the departure of the Japanese and the arrival of the British. And he was successful in maintaining law and order to the extent that there was not a single case of decoity or of loot during that period-24th April to 4th May 1945. Throughout the difficult stages of the INA, whether it was its formation or the crisis in it, or the move to the battlefields or the withdrawal, this old man held the fort like a Knight from the medieval ages. 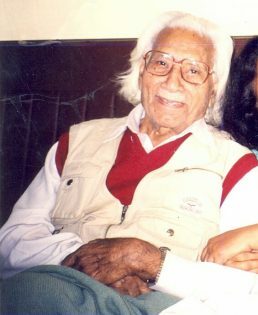 He was affectionately called “Uncle” by all those who were fortunate enough to approach him. In return the old man would call us all “Uncle” irrespective of the age. While in captivity in the Red Fort he was suffering very badly from an ulcer in the stomach, yet he seldom let us know the agony he was passing through. I remember the day, General Shah Nawaz Khan, Colonel Sahgal and I were given our Charge Sheets. Overwhelmed with the joy of being one of the first to be tried in the Red Fort on which once we intended to hoist the Tricolor. Like a child I ran to General Loganathan who was lying in an old sagging cot. I shouted. “Uncle ! Uncle ! I am going to be senior to you now. We are going to be tried first and shall die first. look ! Here is the Charge Sheet of waging war against the King”. That day General Loganathan was not well. Forgetting his pains with an effort slowly, very slowly clinching the cherpoy with both hands he set up. Got hold of the Charge Sheet and started reading it to himself as reverently I looked on. As he read through it big tears rolled down from his eyes on to the sunken cheeks and with choked voice he shouted, “No, no, no my son, they can’t do that to you when I am living. I being the senior most amongst you, I must be responsible for all what you did. I must be tried and punished first. I must die earlier not to see you suffer”. It was this very ulcer developed during the I. N. A. days which was responsible for his early death – a martyrdom on the altar of the Indian Freedom. Logistics of the INA in action are awe-inspiring. It had to operate under ever-increasing difficulties and against fearful odds. Wireless Communication was a rare luxury. We normally had to use runners or at times a dispatch rider on a motorcycle to carry messages to and fro. Often our only means of transport was the good old bullock cart. It was more difficult to find a cover from fire for the oxen than for the men. When they got killed or ran away because of the battle noise, our backs carried the pack and that would be only belongings or rations in the world. Once we hired a cart with a stubborn pair of bullocks. They were too difficult to be controlled. General Shah Nawas Khan personally tried to drive the cart. The pair ran away with the cart and the Divional Commander ( Maj. General Shah Nawaz Khan ) on it. The owner of the cart had jumped off but the Commander would not give in. The situation became worse as an enemy aircraft appeared overhead. Inspite of his own predicament Shah Nawaz shouted to us to take cover while he was having the dangerous ride up and down a dry riverbank. It was after a good half an hour that we could retrieve him and that too luckily intact. The athlete in him saved us our Commander. We had a few supporting weapons, but at times lack of ammunition prohibited their use. On 13th February 1945 during my round of the different units of the 4th Guerrilla Regiment ( the Nehru Brigade ) as I visited No. 1 Battalion posted at Naynngu to oppose the British crossing of Irrawaddy, I learnt that the Battalion had eight machine guns with only two belts of ammunition each. I ordered four of the guns to be thrown into the River to make more ammunition available for the remaining four guns so that the duration of the fire could last a bit longer. It worked. On the following day the assault Crossing of the River by the South Lancashire Regiment failed. They suffered heavy casualties and were compelled to withdraw under the cover of the Artillery and the Aircraft. The object of this article is not to narrate the Battle of Nyanngu and Pagan, that the author may do at some later date. It may suffice here to submit that the odds were of an odd nature and yet we could fight an obviously last battle against the forces of one of the greatest Generals of the War-Field-Marshal Sir William Slim. Now when the din of the battle is twenty-six years away. I cannot help asking myself. “What was our strength ? “Whatever happens to us individually in the course of this heroic struggle, there is no power on earth that can keep India enslaved any longer. Whether we live and work or whether we die fighting, we must, under all circumstances have complete confidence that the cause for which we are striving is bound to triumph. It is the finger of God that is pointing the way towards India’s freedom. We have only to do our duty and to pay the price of India’s liberty. Our hearts are with you and with all who are with you in the present struggle which is paving the way to our national salvation. Please convey my warmest greetings to all the officers and men under you and accept same yourself. The letter was worth more than a reinforcement of a hundred guns. It did put a new life into me and into all those who were with me. It is human to be appreciated and human to appreciate. Netaji was indeed magnanimous. he raised us from the dust to serve the national cause in an unprecedental way. Colonel Shaukat Hayat Malik formerly of the Bahawalpur State Forces earned the decoration of ‘Sardar e-Jung’ while commanding Bahadur Group ( Special Task Brigade ) in the Manipur Sector. 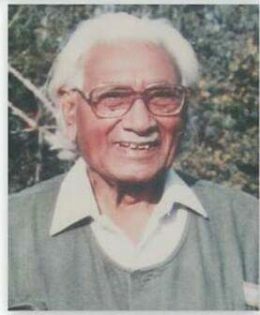 With the help of Manipurians like Shri Koireng Singh and others who were members of the INA, he hoisted the Tricolour for the first time on the Indian Soil at Moirang after having liberated it from the British. Moirang, situated on the banks of the beautiful Loktak Lake has been a center of the cultural and political activities of the area. The spot chosen for hoisting the Tricolor was considered auspicious and sacred by the people because of its local historical background. Bald, thin, tall like a pole standing seven feet high Colonel Malik was great for all the three Ws-. While always victorious against the first two the third one often saw him flat before the end of many a party. 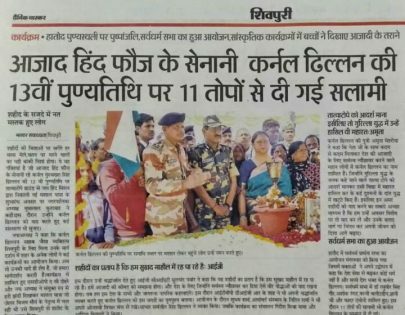 “Netaji. Netaji, Netaji my foot, I ( pointing to himself ) hoisted the Tricolour at Moirang in the State of Manipur,” shouted Colonel Malik thumping his foot on the floor. The occasion was a State Banquet given in his honor of other Commanders who had fought before the rains in 1944. Netaji heard Col. Malik’s outburst with a smile as if nothing had happened, he continued entertaining and talking to the foreign dignitaries including Dr. Ba Maw the Burmese President, present at the function. 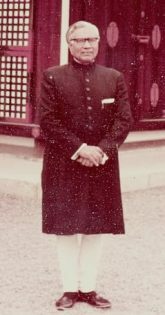 Colonel Habibur-Rehman the Assistant Chief of the General Staff however quietly got Malik whisked off to a waiting staff car which took the hero to his Bungalow and to the bed. Early next morning as Col. Malik got up, he recalled the previous night’s happening. Hurriedly he dressed up and made straight for the Netaji Bhawan. It was very early in the day but Netaji was already on his desk. On arrival, Col. Malik asked the ADC Captain Shamsher Singh to report to Netaji that Col. Malik requested for an urgent interview. Immediately he has called in. Salutations over, Col. Malik took out his revolver and presenting it to Netaji said, “I do not deserve to live for a day after what I did last night. But I do not wish to commit a suicide and go to hell. I request you, Sir to shoot me so that I may take the punishment but at the same time may go to heaven because of your sacred hands”. Affectionately Netaji patted him on the back and said, “Shaukat you have been too long under stress and strain. What you need is a rest and a holiday”. 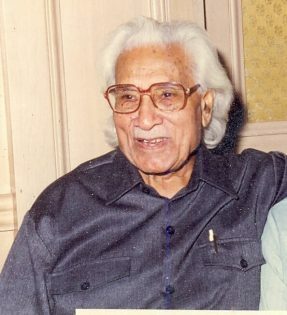 A few days after, as I landed at Mingladon Air Port along with Col. S. M. Hussain having flown from Bangkok by Netaji’s personal eleven-seater aircraft-AZAD HIND- I found Col. Malik waiting in the lounge. As we wished each other he took me aside and showed his pockets bulging with Currency Notes. He said, “Do you know who gave me this money ? Netaji. He has given me fifteen days leave to take a holiday in Bangkok. This plane has specially come to take me”. Handing me a couple of hundred rupee notes he said, “You are new to Rangoon, you may need some money. Take it”. Inspite of my refusal he put the money into my pocket and hurried away to the waiting plane. What would not Col. Malik do for such a considerate Leader. Being’ a regular soldier, it was natural that I should try to determine the soldier and the commander in Netaji. Once in a battle report, I had mentioned the next likely place where I expected the enemy. I was 500 miles away from Netaji. He sent me a small note scribbled in his own hand suggesting an alternative map reference and advising me to watch the spot for the enemy’s next move. When I received his message, I was already fighting the enemy at the spot Netaji had cautioned me to look for. Given better means of communications, resources and weapons our story might have been a different one. Yet even in defeat, destiny wanted us to play a role the memories of which shall linger as long as India lives. The I.N.A. apart from serving India as it did, has undoubtedly been also the fore-runner of a freedom movement all over the Asian and African countries. 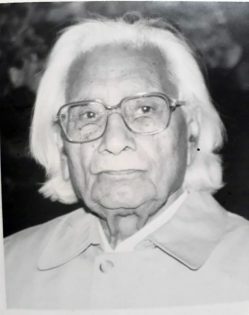 Shri Bhula Bhai Desai had appropriately said during the opening of his Defence Address in the First I.N.A. Trial in the Red Fort of Delhi that, “What is on trial before the court now is the right to wage war with immunity on part of a subject race for their liberation.” Is it not so that the age of a liberation of subject races started thence onward, destroying all forms of Empires and Imperialism ! Who dies if England live? (Read India for England). On the occasion of the 13th death anniversary of Col Gurbaksh Singh Dhillon, the govt gave a tribute with 11 taupo ki Salami. 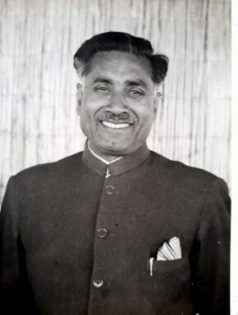 It was under the commandment of Dhillon that the INA witnessed the first victory against British forces in the Irrawaddy region. He also bravely resisted more attacks against British using guerrilla warfare techniques. Col Dhillon was Deputy Adjutant General and also Deputy Quartermaster General in Netaji’s Provisional Government of Azad Hind in its first anniversary . At the Red Fort INA trials, Col Dhillon along with Prem Kumar Sahgal and Shah Nawaz Khan were charged with waging war against the British crown. The trials began on 5 November 1945. 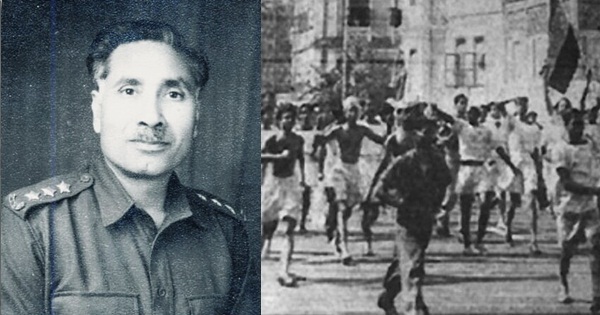 It was the INA trials that led to revolt in the Army and the Navy with Indian soldiers leading protest marches against British and breaking rules. Ultimately, the British had to leave India because of the INA trials aftermath. Col Gurbaksh Singh Dhillon lived in penury after independence for more than a decade. He did farming to sustain a living. He breathed his last on 6 February 2006. All images and the write-up by Col Dhillon are sourced from Shri Shubham Sharma, relative and fan of Shri Dhillon.